Whatever. Don’t be fooled by Mueller’s Boy Scout act. As his critics point out, if America is never great again, it’ll be all Mueller’s fault. We have to admit, they’ve got some good points. Breitbart says so. Sure, Mueller’s got a rep for rarely speaking in public or giving interviews. But behind the scenes he’s obviously spending day and night dishing dirt on Donald Trump and the president’s oh-so-honorable colleagues to any reporter who will listen. 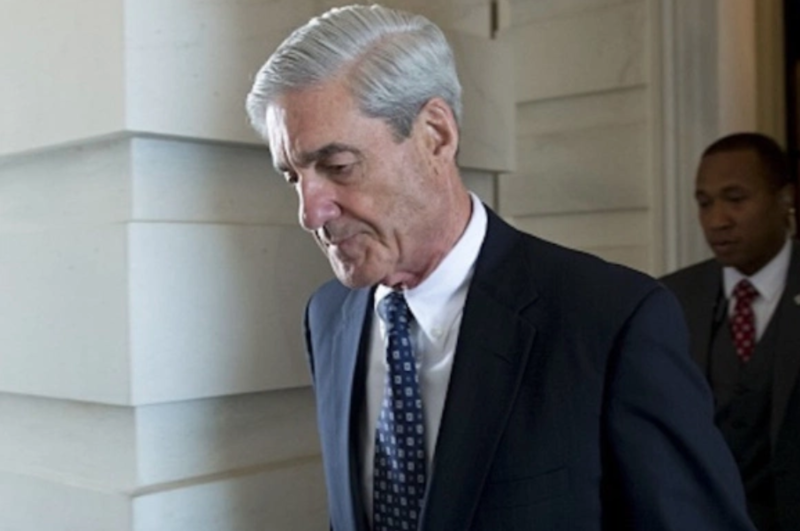 The deluge of daily stories disparaging President Trump, after all, began the day Mueller was appointed; before Mueller, Trump press coverage was constant sunshine and rainbows. Plus, it’s clearly to Mueller’s strategic advantage to have his investigative steps aired to the public in real time. Besides, who else would leak this kind of stuff? Only Mueller and his team have motive. The White House isn’t a factionalist den of vipers; the president’s legal team is a well-oiled machine that never leaks; defense lawyers are paragons of virtue. Don’t even get us started on tight-lipped congressional staff — those guys never talk. The only logical explanation here is information about the investigation is coming from Mueller. Thank God, Newt Gingrich has seen through Mueller’s act. He tweeted recently that “Republicans are delusional if they think the special counsel is going to be fair. Look who he is hiring.check fec reports. Time to rethink.” It’s quite a rethink. Mueller is so political that he’s spent his entire career going back and forth between politicians. He worked in the first George H.W. Bush administration as an assistant attorney general, then he was a prosecutor on murder cases in Washington, D.C., after running the Department of Justice’s Criminal Division, and then he flip-flopped back to be a U.S. attorney in the Bill Clinton administration. Get this: He then goes on to run the FBI for both Presidents George W. Bush and Barack Obama (a bipartisan Congress even extended his term for two years at Obama’s request). The guy is so political he can’t even decide which side he’s on. The guy is so political he can’t even decide which side he’s on. If Mueller’s team isn’t wearing #MAGA t-shirts to work underneath their suits, the whole endeavor is hopelessly biased. The president warned Mueller that his investigation “is about Russia” and it would cross a red line if he strays into areas like Trump-family finances. And yet, the prosecutor keeps having the temerity to stray beyond the lines that Trump — the conduct of whose campaign and company are the investigation’s very subject — thinks he should be examining. It’s possible Mueller just got confused by his capacious mandate from Deputy Attorney General Rod Rosenstein, which gives him authority not merely over “any links and/or coordination between the Russian government and individuals associated with the campaign of President Donald Trump” but also over “any matters that arose or may arise directly from the investigation” and any attempt obstruct the investigation. But clearly Mueller is trampling the time-honored legal principle that the subjects of investigations get to say which parts the police are allowed to investigate. Do you need a better reason to hate him than that?